The Nun, an English movie, is not currently screening in Hyderabad. You know the demon Nun wins at the end. 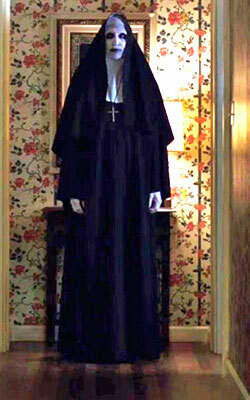 She's in The Conjuring 2. This is no spoiler - this is a fact. The makers of this film are looking to snare a decent number of people who have 90 minutes and a few rupees to spare on their latest project. Coincidentally, we had 90 minutes and some spare money. Here are our findings. fullhyd.com has 700,000+ monthly visits. Tell Hyderabad what you feel about The Nun, and then also see all user reviews for The Nun!